After trashing the Welsh rugby team last weekend spare a thought for our Celtic neighbours. It’s their national day and a super destination for a variety of trips. The best way to get there if you want to avoid the airport and benefit from having your own car is to take the Ferry. 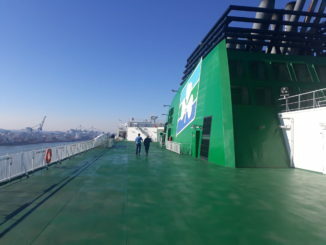 With several sailings daily from Stena Line and Irish Ferries the routes from Dublin and Rosslare are well catered for. Opened last year, The Zip World Fforest Coaster is the first of its kind in the UK. 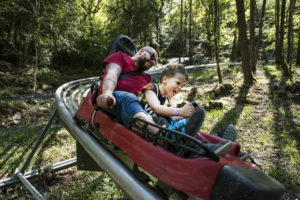 Running on rails that that skirt through trees on elevated tracks, the 1km long Alpine Coaster offers fun all year round, similar to the coasters seen in ski areas across Europe, Asia and America. Zip World Fforest adventures currently include the Junior Tree Trail, Zip Safari, Sky Ride, Plummet and Treetop Nets. 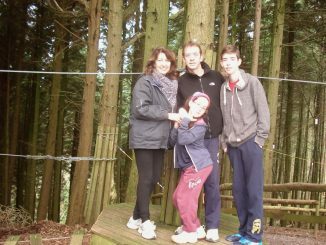 I also took a road trip with the family to Bluestone which is close to Fishguard so great to travel on the Rosslare route. http://www.bluestonewales.com/ in Pembrokeshire has a variety of themed events all year round. Great outdoor packages – abseiling – water park with waves – lovely restaurants and self catering packages – this is 4* accommodation in wooden chalets set around a lake – so much to do. 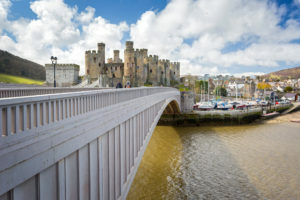 The Wales Way is a family of three national scenic touring routes that cross the country’s most epic landscapes, showcasing its fascinating history, coastlines and attractions. 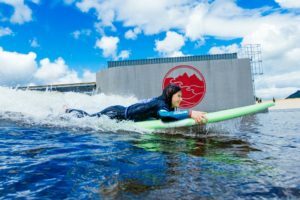 The routes meander through the very best of Wales’ landscapes and attractions, allowing visitors to unearth the country’s gems and unique, authentically Welsh experiences. The Wales Way has been designed for visitors who like to create their own adventure providing ‘stepping stones of discovery’ and, in contrast to the likes of Route 66 and Scotland’s North Coast 500, the routes are intimate and will appeal to those looking to soak up the journey and take in different experiences along the way. In Welsh, it’s known as going igam ogam – ‘step-to-step’, or ‘zig-zagging’ – discovering your own secret places. 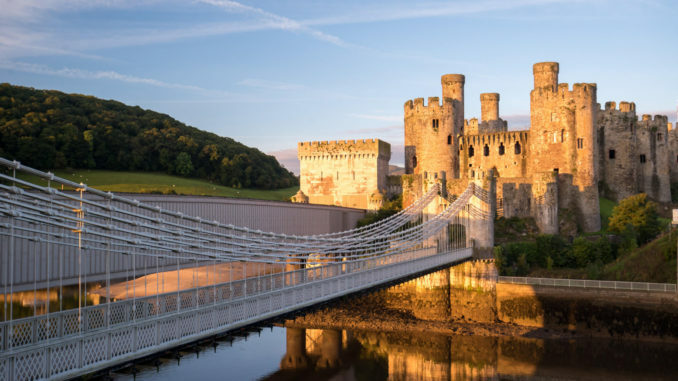 Unlike other world-famous routes, the Wales Way isn’t confined to driving – offering rail connections, walking paths, cycling routes and horse riding trails – so anyone can explore the best of what Wales has to offer in a way that inspires and excites them. The Coastal Way travels the wild and rugged west coast around Cardigan Bay from Aberdaron to St Davids, where epic seascapes meet the mountains. 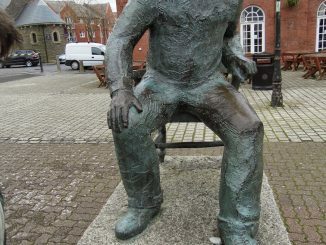 This 180 mile (290km) road trip, with the sea on one side and mountains on the other, tours a series of picturesque harbour towns and resorts such as Barmouth, the historic town of St Davids and tiny fishing villages such as the brightly painted Aberaeron as well as countless beaches, cliffs and hidden coves. Travelling from top to bottom along the mountainous spine of the country, The Cambrian Way runs for 185 miles (300km) between Llandudno and Cardiff, winding through the Snowdonia and Brecon Beacons National Parks, with epic scenery and adventure around every corner. Pass through the quaint village of Betws-y-Coed in the foothills of the Snowdonia, before embarking on epic zip-lining and underground adventures at ZipWorld and Bounce Below. The North Wales Way follows the main trading route for 75 miles (120km) along the northern coast. Packed with thousands of years of culture and heritage and taking in some of the mightiest castles in Wales and two UNESCO World Heritage Sites, The North Wales Way offers a gateway to Snowdonia’s mountain adventures and the ancient history of Anglesey, passing by the jaw-dropping bridges of the Menai Straits and glorious Parys Mountain. The three Ways have been designed to intersect, so can be enjoyed alone for shorter breaks, or linked together for longer adventures. 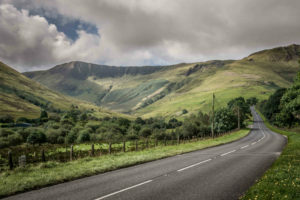 Whether you go for coast, mountains or culture, the beauty of these routes, and the thing that makes them really stand out among their counterparts, is that you can so easily create your own, custom-built Welsh road trip. Throughout this year Visit Wales is inviting visitors to discover epic new experiences all around our shores. This is our Year of the Sea. Wales has a truly epic coastline, fringed with rugged cliffs and wide sandy bays, endless wildlife and numerous pastel coloured towns, including Solva and Aberaeron and the coastal cities of Cardiff and Swansea. It’s also a land of epic adventure, with sports such as coasteering, wakeboarding and high speed rib rides. Everywhere you go there’s history to be discovered, from the pirate tales of Tenby and the Victorian seaside resort of Llandudno, to the ancient legends such as Birdseye’s island of 20,000 saints and Cantre’r Gwaelod (Wales’ very own Atlantis). The views can be enjoyed with a pint of local ale or some freshly caught seafood at a fisherman’s pub or fine waterfront restaurant. Whether you’re partial to a city break in Cardiff or a beach stay in Pembrokeshire, you’re never too far from the coast. Wales is home to some of the greatest loved writer and actors not to mentions singers! The lead in fare is €89. On selected sailings and dates subject to availability. News likely to appeal to parents planning a family break away this Easter is the announcement by Irish Ferries of a number of ‘egg-cellent’ bargain packages at a selection of popular UK Haven Holiday resorts. Three and seven night breaks arriving Friday, March 30th at the all-action parks of Hafan Y Mor, Presthaven Sands, Lakelands Cala Gran, Quay West or Kiln Park start from €550 and €848 respectively. A four night break arriving Monday, April 2nd is from €520. Prices quoted are for up to 6 people, staying in a two-bedroom Deluxe holiday home, inclusive of return car ferry crossing. Coupled with egg hunts and a host of Easter-themed activities, each park boasts activities to suit all the family including heated indoor pools, go karting, bike hire, ten-pin bowling, pitch & putt and tennis courts, amongst many others. Breathe in, take a look around and get to know your surroundings. Get familiar with your habitat; 500 acres of rambling woodland to scramble, climb and run through lush green grass, skim stones across clear blue lakes and explore Britain’s only Coastal National Park. If forest bathing isn’t your thing (take our word for it- it’s divine) then The Blue Lagoon should fulfill any mermaid’s requirements. Completely heated by a Biomass fuel system, we’re determined that having an amazing time shouldn’t cost the earth. We can’t guarantee the weather, so if grey clouds threaten there’s also the Adventure Centre, where you can get a taste for climbing trees and making dens, indoors. Here you can go truly wild. Opt out of the world for a day. The Well Spa uses traditional, natural ingredients in its massages and treatments; here you can meander from roof top hydrotherapy pool to any one of the 6 thermal spa rooms with different temperatures and focuses, depending on what your body needs to rebalance itself. The rather unusual addition of four-star floating suites (Milford Waterfront Floatel Cabins) will form part of Milford Waterfront development, comprising shops, cafés, restaurants and accommodation. It is intended to offer a unique experience for anyone wanting to soak up the tranquil marina atmosphere without necessarily owning a boat. The floating rooms build is set for completion by Easter 2018. New for Easter 2018, are four individually styled Scandi log cabins on the edge of the Snowdonia National Park in the foothills of the beautiful Berwyn Mountains in North Wales – each with its own theme. Perfectly designed for two, the cosy self-catering Rivercatcher Log Cabins will feature wood burners, fully equipped kitchens, award-winning king size beds and stunning glass fronted apex windows to make the most of the green landscape. After cosying up inside, guests can embrace the warmth outside while cooking alfresco on the wood-fired outdoor kitchen or soak under the stars in the hot tub within the sanctuary of the private deck. Very at home in its Welsh surroundings, this modern rustic lodge features a copper worktop and island with natural timber kitchen cabinets, earthy colours and sheepskin textiles that complement the natural surroundings outside. Cwtch (kutch) means to snuggle in Welsh and this rustically romantic retreat will be the perfect place to do just that. Simple lines and neutral colours epitomise this cabin; while wood floors and cosy textiles bring a warmth to the open living area. Lagom (la-gom), means ‘not too little, not too much, just right’ in Swedish and is all about balance it sums up this cabin perfectly. Hyggelig offers a nod to a traditional ski chalet – with cosy internal wood cladding, a wood burning fire, faux fur throws, soft fabrics and a modern open feel. Hyggelig (hoo-gah-lig) is Norwegian for indulging in a cosy, comfortable and relaxing way – and this “alpine style” cabin certainly makes it easy to do. The Dutch word Gezellig (heh-sell-ick) means friendly and gregarious which sums up this cabin’s appeal. Its eclectic mix of styles and colours makes it is ideal for couples with a love of all things “boho”. Ocean at the Atlantic Hotel is a brand new concept. Although is part of the Atlantic Hotel in Tenby, Ocean is away from the main hotel and is set into the cliff. The suite offers one of the best sea and beach views in the UK. Guests can enjoy a privately screened, luxury Jacuzzi, a full height wall of glass giving uninterrupted views of South Beach and St Catherine’s Island across the sea to Caldey Island. A three night break for two, including a continental breakfast hamper, delivered every morning, complimentary champagne and fruit on arrival and complimentary mini bar costs £1,300. This is certainly a new property on my radar, having been open for a year, and I thought I would share it with you Carly. The property is an old coach house with six individually designed rooms each with it’s own unique spa feature. Coes Faen is tucked away on the Mawddach Estuary and all of the six rooms has a view of Snowdonia together with its own private spa. The owners have created a very special place to stay, one that embraces its locality and history, yet provides a boldly contemporary interpretation. Rooms from £135 per night. The boutique hotel, managed by Redefine BDL Hotels – the UK’s leading independent hotel management company – welcomed its first guests in November, bringing 122 beautifully decorated bedrooms to the already burgeoning tourism industry in Cardiff. Acclaimed chef Marco Pierre White will also open one of his famous Steakhouse Bar & Grill’s on the roof of the development, further increasing Cardiff’s claim to being one of the best food destinations outside of London. Those staying at the hotel will be able to enjoy all of those at-home luxuries they’re accustomed to, including free Wi-Fi throughout. Each of the guest rooms will be designed to highlight three recurring themes – made in Wales, industry and music – celebrating the heritage synonymous with the local area and beyond. St Davids Hotel, Cardiff’s 5 star hotel is currently undergoing a total refurbishment including its new Australasian restaurant. 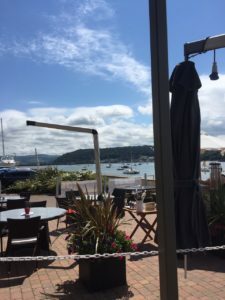 The Admiral St David is an entirely new restaurant concept for Wales and the south west, serving up an exotic melting pot of fresh Australasian flavours. The relaxed, contemporary restaurant and bar, based at Cardiff Bay’s five-star luxury St David’s Hotel, features the very finest in Indonesian, Japanese, Sri Lankan, and Australian cuisine. Unique, peaceful, luxury in the heart of the wild countryside. Explore a stunning part of the Welsh coast from carefully crafted accommodation with an infectious appreciation of local culture, history and art creating a perfect retreat for relaxation. Hide has three romantic, snug Cabans, a Bugail (Shepherds) Hut and ‘Walden’ Lodge tucked between trees, bushes and wild flowers offering uninterrupted views of the wild seas. The wish is for guests to see, feel and be immersed in Wales, with visible reminders of myths, history, poetry and art. Tresilian Wood is the name of Hide’s site with its small arboretum occupying seven and a half acres adjacent to Atlantic College and St Donats Castle. St Donats is a tiny village in the Vale of Glamorgan, just 25 minutes from the Welsh Capital. An area steeped in history, castles, churches and myths. With vast skies, lush grasslands, woods and the dramatic Jurassic Heritage Coastline, Hide is special. A journey of discovery that began in America has come full circle and found fruition on the Welsh Coastline. Walden Lodge is a hub of influences and inspiration from one continent to another, with art and craftwork whose subjects include Welsh migration, religion and poetry. The spirit of the American transcendental movement and Thoreau’s classic book ‘Walden’ that reflects on simple living close to nature inspires the name and spirit of Walden Lodge. Walden sleeps four, with two double bedrooms. The bright studio kitchen has dining for four and is fully equipped. There is a cosy space to ‘cwtch up’ beside the wood burner in the colder weather. A spacious bathroom has a large walk-in shower. An uninterrupted view, when sitting on your balcony, stretches as far as the Quantock Hills across the Channel. This hand-crafted lodge will offer a unique stay with notes of Welsh-American connections. Walden Lodge is available from £140 per night, breakfast can be booked in the Hide Pavilion every morning. The Wales and Real Madrid footballer, Gareth Bale, has teamed up with Brains Brewery and opened a brand new sports bar in the heart of Cardiff.